he Dycem Roll helps solve many stabilization and grasping problems. 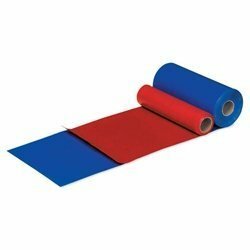 Designed from a specially developed polymeric compound with a uniquely high co-efficient of friction, the Dycem Non Slip Roll helps stabilize both equipment during balancing and weight bearing activities. It can also be used to position and stabilize hips, feet, head and neck for exercises like pelvic tilts and knee rolls, as well as secure dishes and appliances in the kitchen.